The Election Commission had two days ago recommended to the President that elections in Vellore be cancelled. 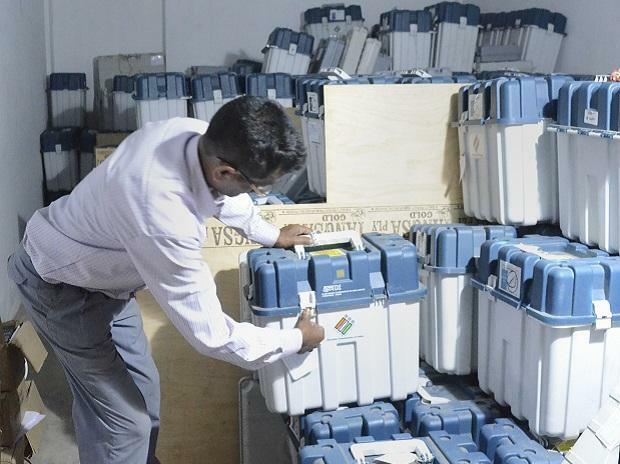 The Lok Sabha election to the Vellore constituency in Tamil Nadu was cancelled Tuesday by the Election Commission (EC) two days ahead of the polling following recovery of huge amount of cash allegedly from an associate of a DMK leader recently. "It is a murder of democracy. Modi has planned to wreck the polls by allegedly misusing the Enforcement Directorate, CBI, Income Tax and the Election commission," DMK president M K Stalin told reporters in Tiruchirappalli. DMK Treasurer Duraimurugan, whose son Kathir Anand is the party candidate in Vellore seat, told PTI that cancelling the poll was a "murder of democracy." Anand was charged under the Representation of the People Act for giving "wrong information" in his election affidavit filed along with his nomination papers, the police have said. The other two, identified as Srinivasan and Damodaran, were booked under bribery charges. On March 30, Income Tax officials had conducted searches at the residence of Anand's father Durai Murugan over suspected use of unaccounted money for electioneering, and seized Rs. 10.50 lakh which was alleged "excess" cash. "Cash stuffed in cartons and gunny bags neatly packed for ward and division-wise distribution were unearthed,"officials had said. Murugan, however, had said he had not concealed anything. Questioning the timing of the Income Tax department's operation, he had alleged that the raids were a "conspiracy" by certain political leaders who could not face them in the electoral arena.